Home / brand review / demeter fragrance / perfume / scent / "To attract men, I wear a perfume called 'New Car Interior.'" 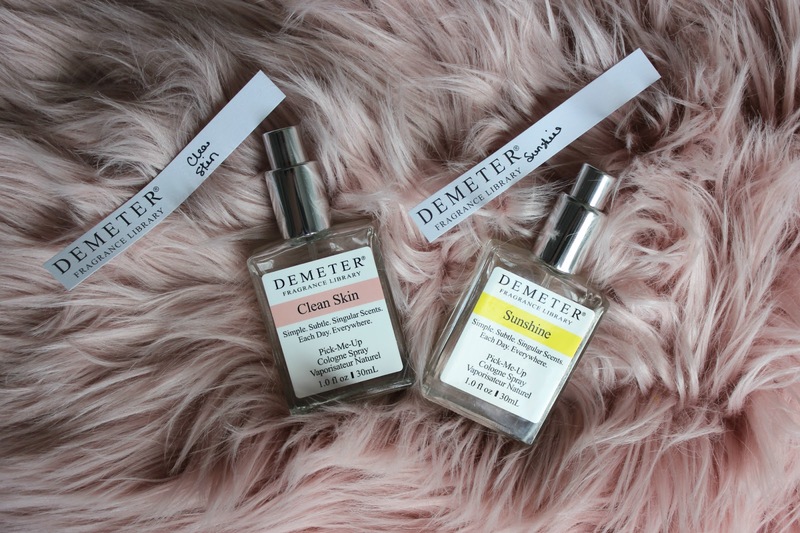 I was lucky enough to get to participate in the Demeter Fragrance Library Campaign. 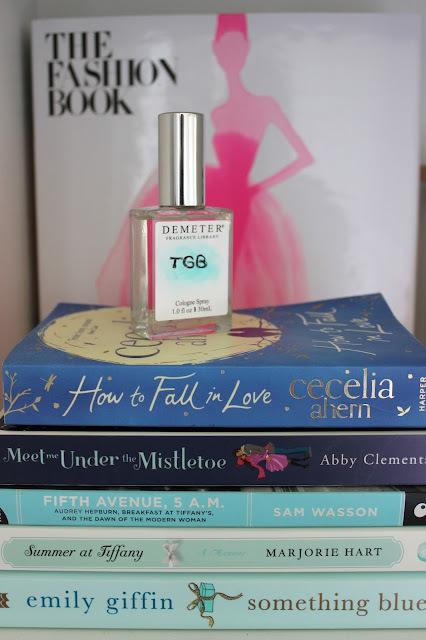 As you know, I proclaimed my love of fragrances last week. 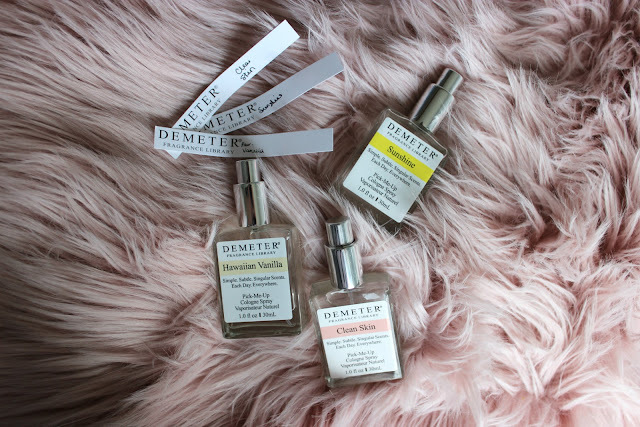 Demeter launched their foolproof blending campaign, which is aimed at allowing you to experiment and customize your own personal scent, based on different memories. 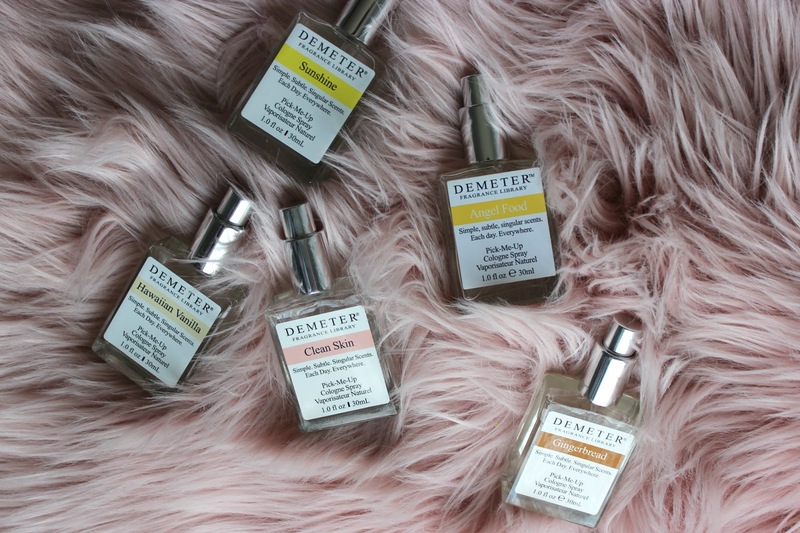 The package came with sample strips to spray and try the scents, followed by an empty bottle, eyedroppers and a funnel so that you could customize your own, perfect fragrance. 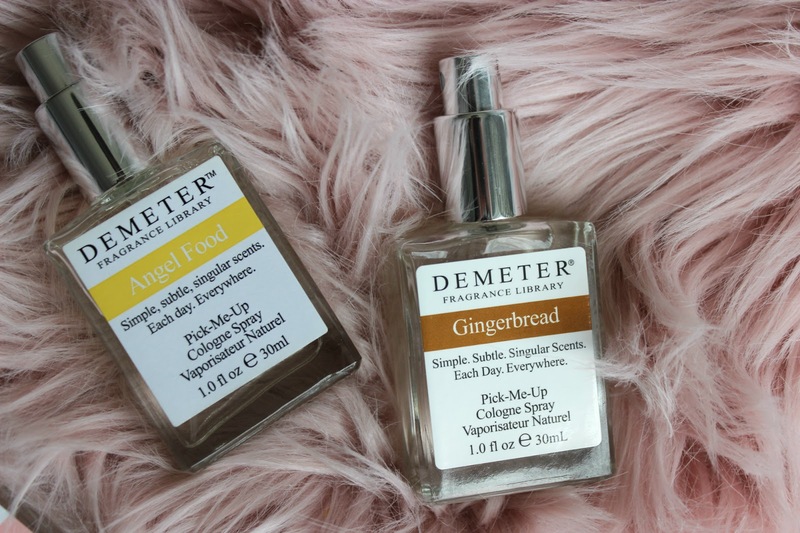 There are literally hundreds of scents available on their website, including everything from Apple Pie, to Firefly, Green Tea to Strawberry Ice Cream, and every other scent imaginable. For the campaign, everyone was sent the Vanilla Theme package, which included Hawaiian Vanilla, Angel Food, and Gingerbread. We were then allowed to choose a duo; I picked Clean Skin and Sunshine. I don't know what made me pick this duo; maybe the sunshine made me remember my many years of summer sports? Whatever the case, these were the 5 I ended up with. I started by testing each fragrance individually, getting a sense of what each was like before I started blending. And to be completely honest, I really did not like Angel Food and Gingerbread. To me, they smelled like canned icing sugar; not something that would be overly pleasant on the body. But I know a few other girls in the group loved these scents, so to each their own. But I quickly eliminated those two from the blending running, so to speak. Clean Skin and Sunshine are by far my favourites. The actual smell of them is very hard to place, but overall, they give off a light, fresh scent. 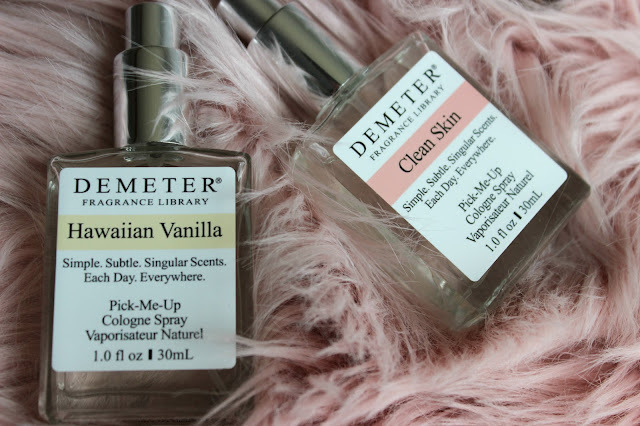 I could imagine these two, especially clean skin, mixing well with almost any other light smelling fragrance. I mixed these into the empty bottle, about 45% and 45%, leaving a bit of room for something extra. I wasn't entirely struct on Hawaiian Vanilla on it's own, but when I sprayed the three together, it left a beautifully light, refreshing smell, with just a hint of sweetness that the other two lacked on their own. Here is the final result! I ended up colouring in the bottle a bit to look like my blog logo, and even named it accordingly. Overall, I thought that the entire experience was really fun. And after spending about a half hour on their website, I could definitely see some other contenders that would be more up my alley. I think if you're looking for something entirely unique, then Demeter is an amazing place to look. I also think you could find amazing presents. Went on an unforgettable trip with your hubby? Had a girls night that you'll never forget? 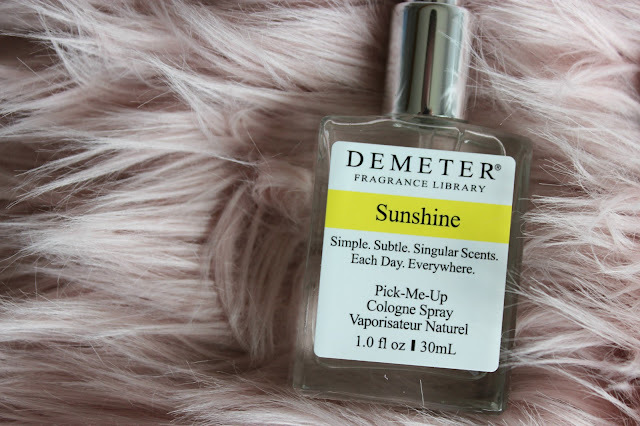 Demeter is sure to have a scent that can evoke those memories. (I swear, those last sentences were not part of any pitch they had; I just got really into it there. Future PR gal, perhaps? ).